If I came across one of those hood ornaments with a Chrysler Co part number on it, I'd probably never figure out what it went to. Here is a recent thread on 1936 Fargo half ton trucks. It appears that the side panels are the same or similar to the '36 Dodge cars and truck grilles without the 4 cross trim pieces. Center is completely different. I agree. I guess that I was struck by how something so familiar could look so different. 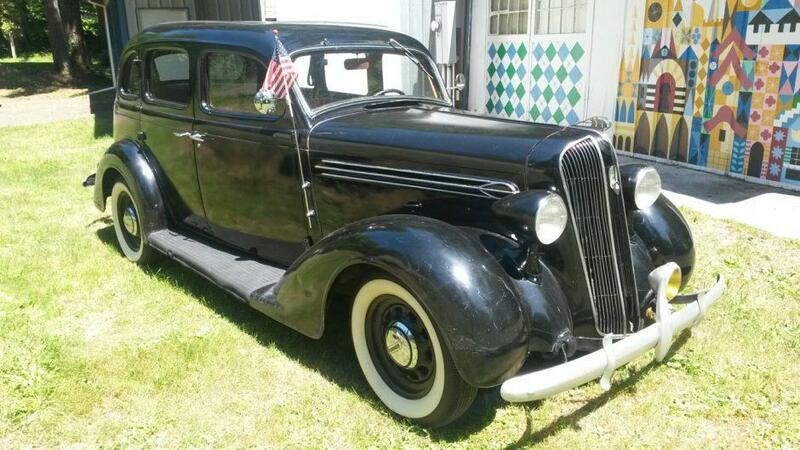 A lot of people will agree that the '36 Dodge is one of the most handsome production cars of the thirties. I also think that '36 Plymouths are particularly nice looking with their clean, simple lines. I believe the one you pictured here, John, is a P1 model, which has a painted, though still very attractive grille. I actually prefer the P1 grille for it's simplicity. I have a '36 Dodge and I too like the "36 Plymouth grille better.